Kim was born and raised in Macomb, IL and has been a Realtor since 2005 and transferred her license over to Key Cornerstone Realty 2014. Kim is a member of National Association of Realtors, Missouri Association of Realtors, and our local St. Charles County Association of Realtors which is affiliated with St. Louis County Association of Realtors. Kim is a veteran in the market with the drastic changes in the market conditions over the years. 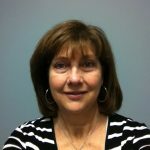 Kim has vast understanding and no-nonsense approach that makes handling transactions and closings run smoothly.